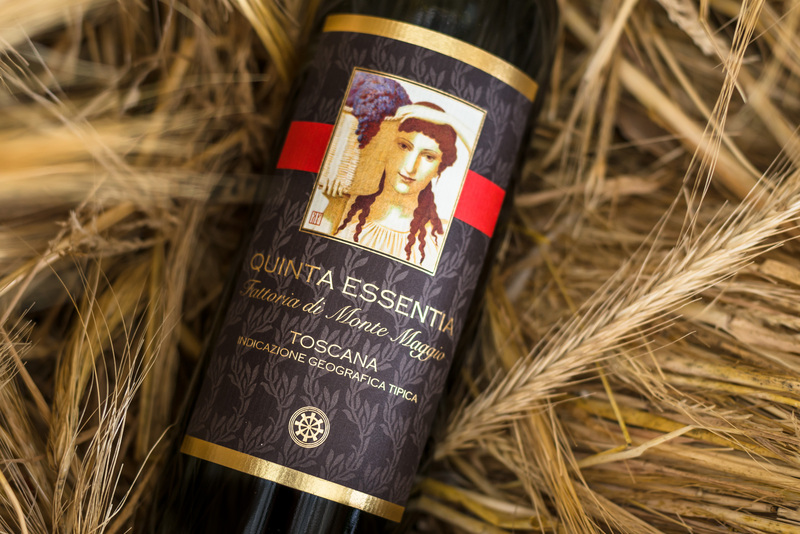 Quinta Essentia is a Super Tuscan IGT produced by Montemaggio for the first time in 2008. This is a blend of 60% Merlot and 40% Sangiovese grapes. Following a careful selection of the best grapes, fermentation is taking place for about 25-30 days at a controlled temperature in stainless steel and cement vats followed by maceration in wooden barrels. The two grapes ferment at different times and in diverse vats. 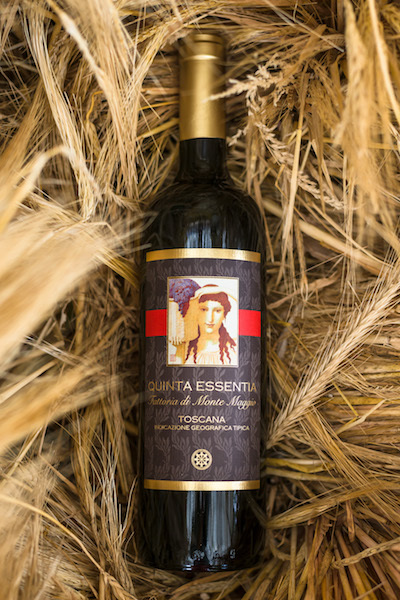 After a malolactic fermentation the Merlot is refined for about 18 months into an oak barrels, prevalently for the second passage, while the Sangiovese is refined in large barrels and partially in tonneaux (5 Hl). Following this the two wines are blended. To add to the complexity the wine undergous further refinement in the bottle for at least 1 year but often even more. This wine has an intense and profound brilliant ruby red, its elegant, fresh, has a perfume of red fruit with a touch of mineral and earth. The Palate is a full taste with velvety tannins and a pleasant freshness and persistence. The ideal serving tempreture for this wine is 18°Co. Preferably opened an hour beforehand. It is ideal with red meat, game and strong cheeses. A perfect companion to elaborate courses or more experimental combinations.